First, It's Important to discuss how to properly utilize the GG SwingTip"s Golf Pivot and Turn Method. Here are a few ways we’ve learned to turn players that slide into players that rotate. Because they were taught to... On purpose. It's a quick way to get students to make better contact. But it's just that. A quick fix bandage. Starting from the first lesson golfers are taught to push into the ball with all our power, and to never question what we are being taught when it comes to hitting a golf ball properly. 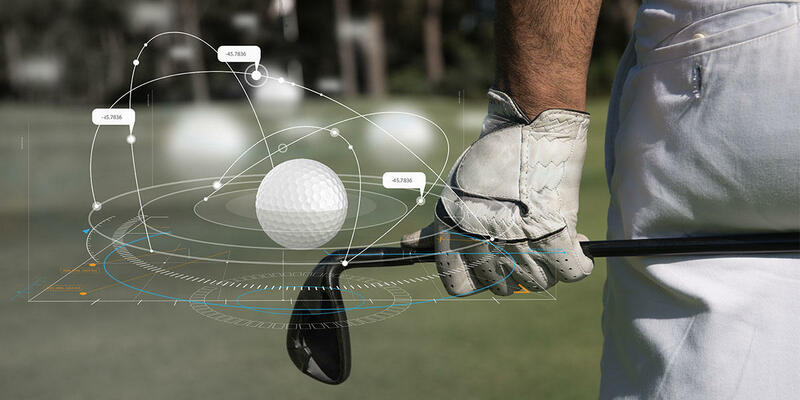 So it can be expected that most prospective golfers, Probably You, have created very bad habits and beliefs right from the inception of the game. That's why it's always important to ask the golfer what his/her struggles are before anything else. Not only is this a great way to build a relationship of trust and value with your instructor. Because, to truly help a golfer, an instructor and the golfer must understand his and her own mistakes. 3. The best teacher is YOU. You are the teacher that will be by your side for decades to come. So it's important to understand your own mistakes rather than just having someone telling you what to do. In every lesson, we try to identify the problem and then immediately advocate a solution. No matter whether it's an online lesson, in-person lesson or a member of our Online Academy. It doesn't always work. Everyone has a slightly different learning style. A great coach must adapt to that. We are always going to teach leg work, but how we showcase it to the student depends on the student and their learning comprehension. When it comes to our instruction, we will be the first to admit that we are not for everyone. When you go to buy a car, you will rarely find people who buy a car without first taking it out for a test drive. Therefore, the test drive is the validator. We put a ton of information up online because we want you to decide if we are the right instruction for you. The last thing we want to do is form a student/teacher relationship with someone that doesn't want to learn from me. Go watch MORE of our content. Watch it all. That's why its up there. We want our students to decide if we are the right instruction for them. The Pivot & Turn Method we teach isn't the end all be all of our instruction but it is the foundation in which we base our leg work off of. We believe in Rotation. It's a simple as that. As mentioned above, most golfers have huge lateral motion in their swings. We are not opposed to lateral motion in the golf swing but the lateral movement we prefer is very incremental. We prefer the majority of the motion to be rotational and vertical. This Rotation comes from a proper understanding of how to push off from the ground properly. After all, our power comes from the ground forces we are able to create. Moving the legs properly under you can be a little tricky to implement when you have been engraining other habits for many many years. We know for a fact implementing the Pivot & Turn is a game changer for your golf game and golf swing if done properly. So here is the deal, we do not believe in bludgeon people with sales pitches and golf offers. We value your time, as we hope you value ours. We are looking for students that desire to improve their game with the knowledge found inside our Online Academy. Students that aren't afraid to put in the work. We are not interested in any students that are lazy. We are not interested in coaching you. We know our famous Pivot & Turn Method works. We've seen it be applied to thousands of students with overwhelming success. Our team has set aside some time everyday to personally review our members' swings posted in the Private Member's Group. Not only do we give you tons of drills on exactly what to work on, but we also give you personalized instruction for your swing specifically. That way you can immediately implement what you are working on in your swing. Why Pivot & Turn ? There is only ONE qualification we want our Online Members to meet – the “ONLY” requirement is that you are serious about improving your golf game, not a dabbler, and you plan on doing the work needed to improve.